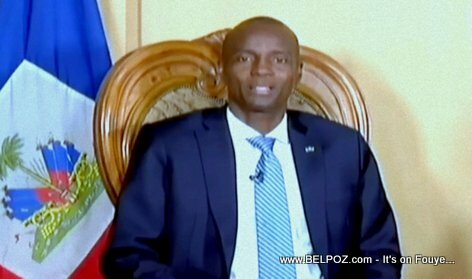 Listening to Haitain radio Sunday after the violent street protests following a sharp increase in gas prices, some journalist are upset because President Jovenel was too confortable during his national address. The president was sitting down with his wife, first lady Martine Moise next to him, and without any type of paper in his hands. That's the complaint. According to these journalists, the president should've been standing firm reading a pre written speech. I listened to the President speech and I believe the President did a fabulous job and I gave him a 10 scores over all and that's included his body language and his wife body language. Now a lot of people will opossum everything because they are against everything even it's mean doing what's right. The President seating down represents dialogues instead of confrontation and violence with aggression. The role of the president in dispensing his reaction on national matter is not a cinema affair.